What’s both scary and will get stuck in your head for a while? GWAR’s cover of “Carry On Wayward Son” by Kansas brought to you by the A.V. Club. The A.V. Club has been treating us to bands covering songs from a little circular room as part of its Undercover series and this one just went awesome. Most of them are wonderful (Iron & Wine covering George Michael’s “One More Try,” Bob Mould covered his own “If I Can’t Change Your Mind” by Sugar, Calexico covering Kenny Loggins’s “Danger Zone“), but this one is downright SEASONAL. Need a little inspiration for your Halloween costumes? Look to these guys. Wondering how many men in spiky costumes can fit in a small circular room? See this video. Interested in aggressively yelling the lyrics on-key to an Kansas song? Turn it up and wail on. 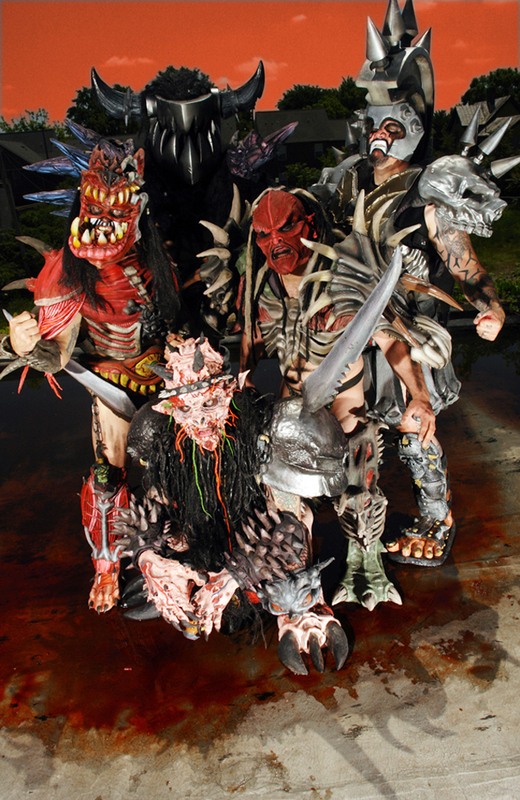 GWAR. Photos courtesy of Issacher Entertainment. Note: Photos do not include newest member, Pustulus Maximus, cousin of the departed Flattus Maximus.